IDIOT- 1. an utterly foolish or senseless person. 2. a fool, half-wit; imbecile; dolt, dun: OH SNAP! 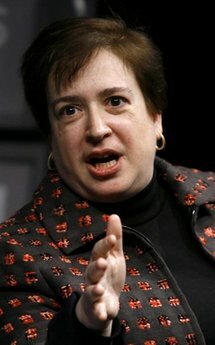 Elena Kagan tied to Obama's birth certificate. 'It just keeps getting deeper and deeper, doesn't it? OH SNAP! 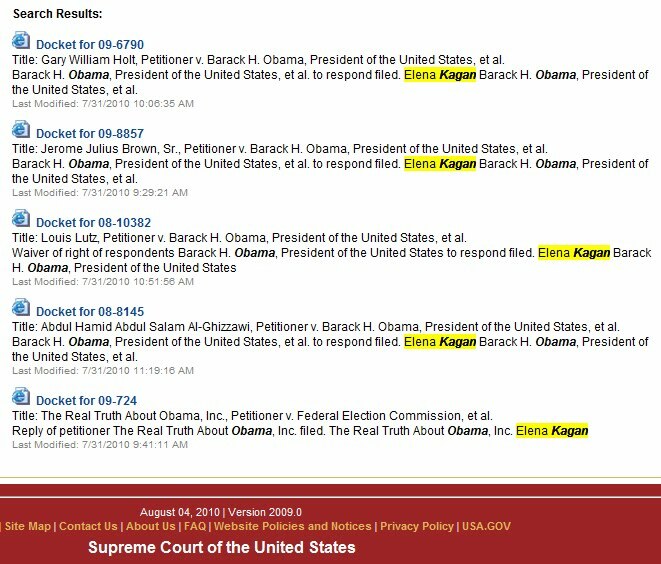 Elena Kagan tied to Obama's birth certificate. 'It just keeps getting deeper and deeper, doesn't it? Just when you thought there couldn't be any more players in the ongoing soap opera over the hunt for President Obama's original birth certificate and his constitutional eligibility for office, there comes yet another name: Elena Kagan. Here's the connection. Kagan served as solicitor general of the United States from March 2009 until May of this year. 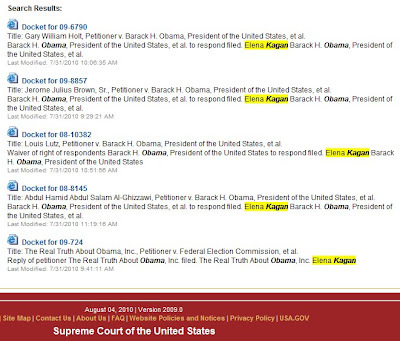 A simple search of the high court's own website reveals Kagan's name coming up at least nine times on dockets involving Obama eligibility issues.